A buy bet is like a place bet, except the buy bet pays off on true oddds. True odds is the percentage that a certain number will come up vs. times it won’t. 1 to 2 for the numbers 4 or 10, 2 to 3 for the numbers 5 or 9, and 5 to 6 for the numbers 6 or 8. The payoff for casinos is usually less than true odds, since they have to make money to stay in business. Imagine the house edge like a fee or tax for letting you gamble. But at a small commission of 5% of all winnings, which is required if you want to buy bet, then the casino’s payoff is going to be true odds. When you are in a casino, you pay this commission, or vigorish (vig), when you make a wager. Now, let’s say you make a buy bet of $40 on a number, so you put $42 in the designated box. The buy bet is $40 and the house takes $2. The best numbers to buy are 4 and 10, since they have the lowest casino edge. You can buy any of the other numbers, but because of the 5% commission and since the others are usually done as place bets, which give a lower casino edge, you don’t need to buy 5, 6, 8, or 9. It is a good idea to buy bet 4 and 10 and place bet 5, 6, 8, and 9. You will have the lowest casino edge and hopefully profit from a good amount of runs. 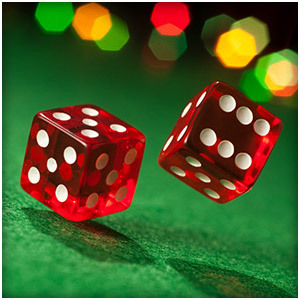 Buy bets are off on a come-out roll, unless you instruct the casino worker to have them on or keep working. And the buy bet can be increased, lowered, or taken down any time before a next roll of the dice.